Free shipping on all orders. All books ship next business day and are delivered in 2-5 days. The prefect size 8" x 8"
Order a copy of your completed book in 8” x 8” softcover. View examples of stories which are created using MyStoryBook Moments by real users. Your kids will have fun reading books about them. 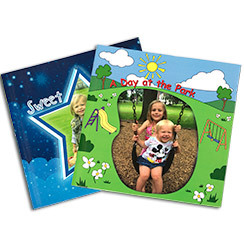 Our fun storybook designs are more than just a photobook. 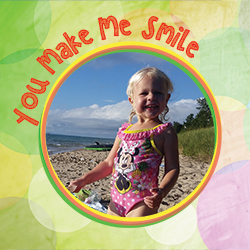 Create a story like "You Make Me Smile" and watch your child smile as you read your personalized storybook together. 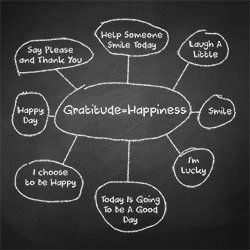 Have fun teaching a lesson with the "Gratitude Journal". 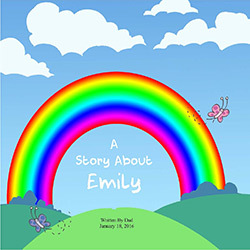 Make reading fun with a personalized storybook from My StoryBook Moments. 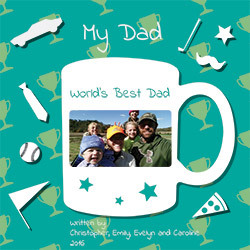 Storybooks from My Storybook Moments make great personalized gifts. 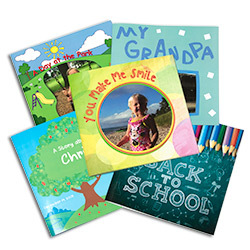 If you usually give a birthday card consider giving a storybook instead. Creating a book is easy, only takes a few minutes and is just $14 EA. 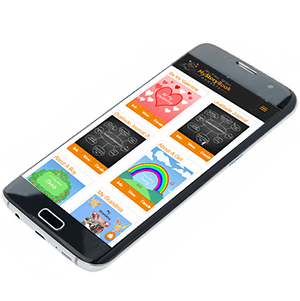 Give a personalized storybook to your children. 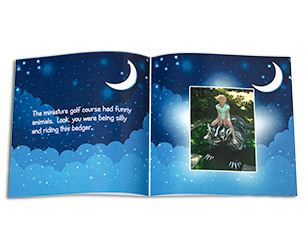 Give a personalized storybook from the kids to Grandma and Grandpa. 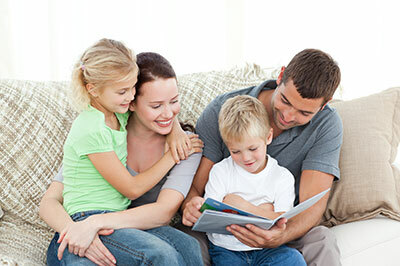 Give a personalized storybook from the kids to Mom and Dad. We have two saying at My StoryBook Moments; Life’s a story…tell yours and Give a storybook….get a smile. We love to see our loved one’s smile! We are parents too, so we know how important your time is. We designed our software to be easy to use from your phone, tablet or desktop computer. You can start and stop anytime, no need to save your work it is always saved. We make it easy to switch between devices. You can start a story from your phone in the evening and finish it up the next day from your desktop. Your story is always saved and ready for you. Once you are complete with you story just add to your shopping cart and checkout. We never save you credit information and our site is secure and safe to use.